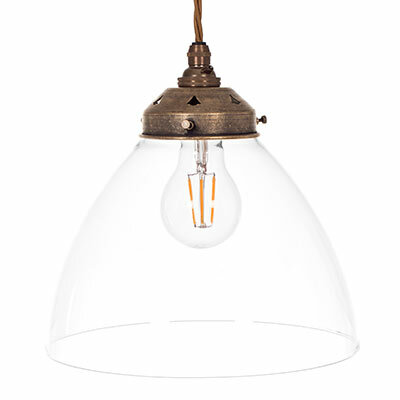 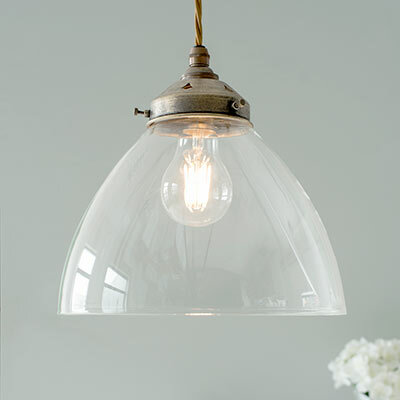 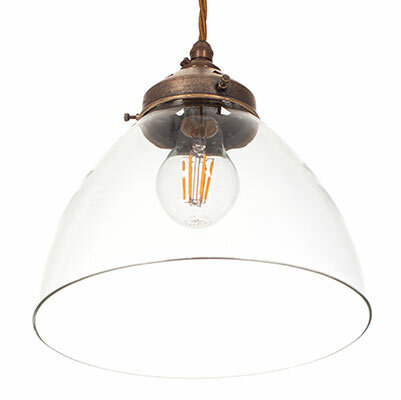 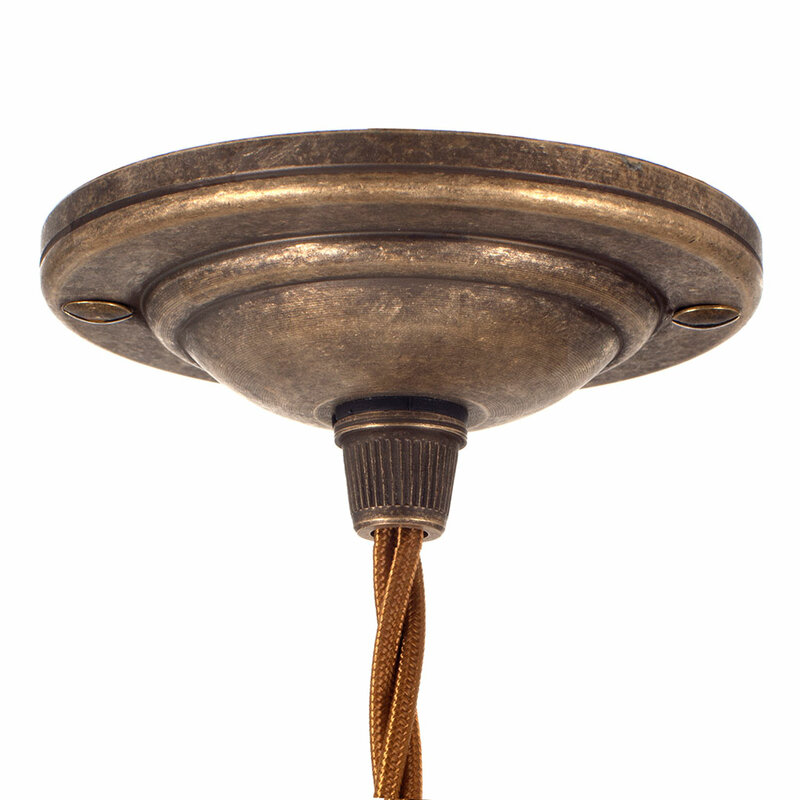 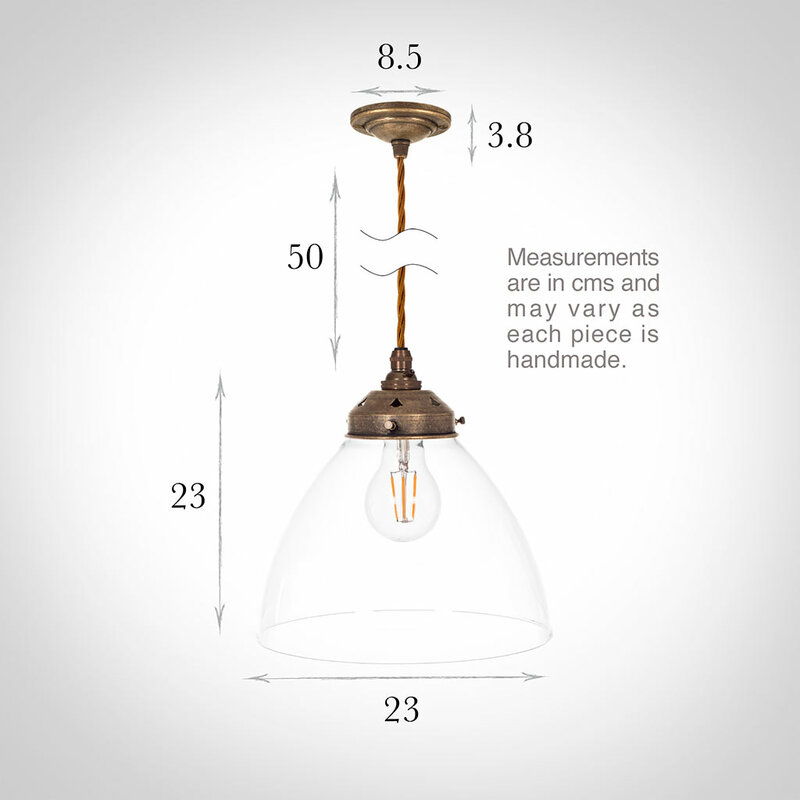 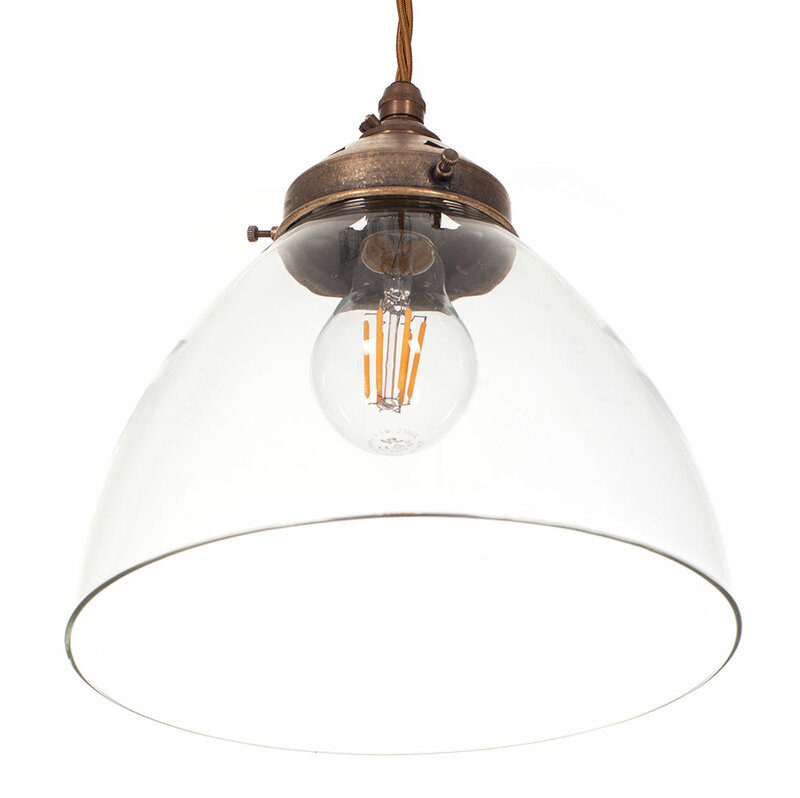 This elegant pendant light in atiqued brass will enhance any room it is in, be it a hallway or dining room. Its simple, individually hand made, curved glass shade contrasts beautifully with the detailing on the top. 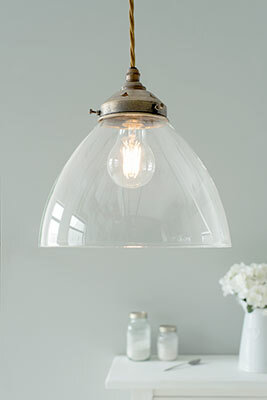 The glass can be frosted on request. Recommended LED Bulb: see recommended accessories. 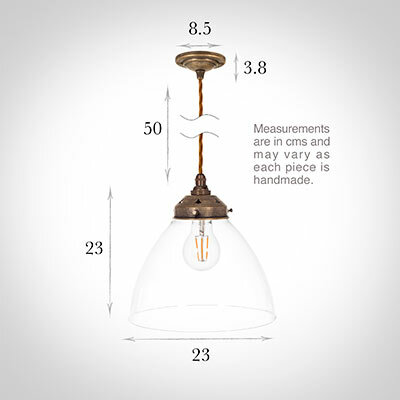 Please note: this glass is a natural resource and as each piece is individually handmade slight imperfections may occasionally occur such as ripples and small bubbles.